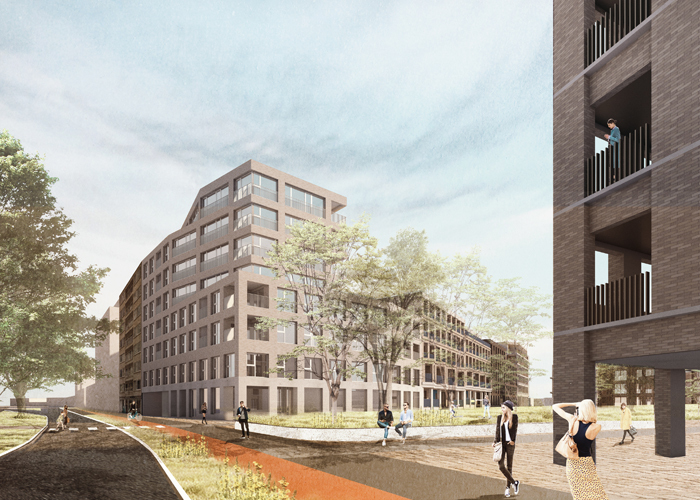 This former industrial site strategically located along the Canal in Mechelen, will be redeveloped in the following years into an ambitious new neighborhood by developer Revive. The industrial buildings are demolished, making way for the qualitative densification of this well-connected location. The redevelopment aims to inject new life in this historical site, with qualitative living and green public space reinforcing each other. BRUT was engaged to design the second phase, a unique and central part of the development. The site is situated within walking distance from the city center and train station. The open space integrates a network of bicycle routes and improves the connection between the site, the historic city center, and a park on the other side of the Canal. The neighborhood with over 300 units will be car-free through the introduction of a compact and intelligent underground parking system. 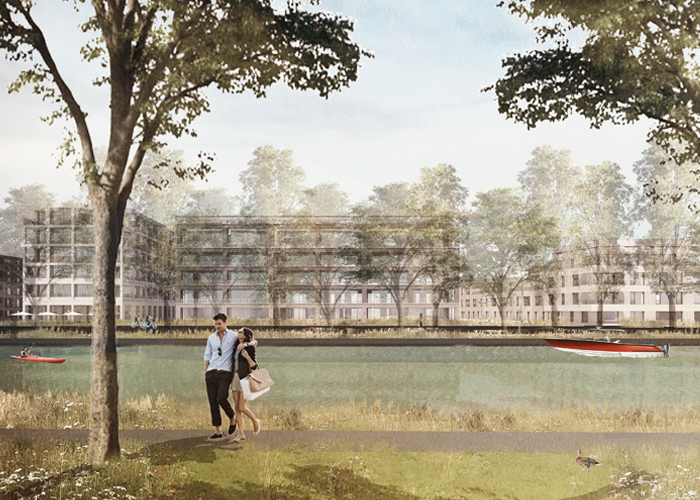 The green bank along the Canal allows the new neighborhood to claim its position along the waterfront. 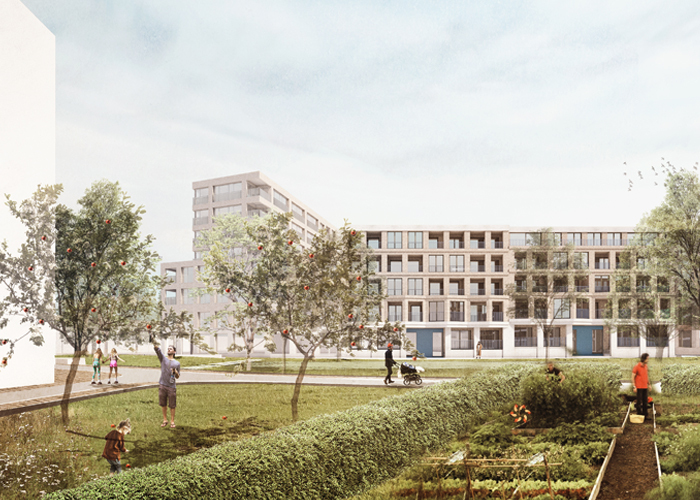 The surrounding building blocks will be completed with new fronts towards a large public park connecting the city center to the Canal. The ambition is to create diversity, both in architecture and in typologies. Made-to-measure solutions are thought out by an interdisciplinary team of urban planners, architects and landscape architects, with clear set image quality guidelines. 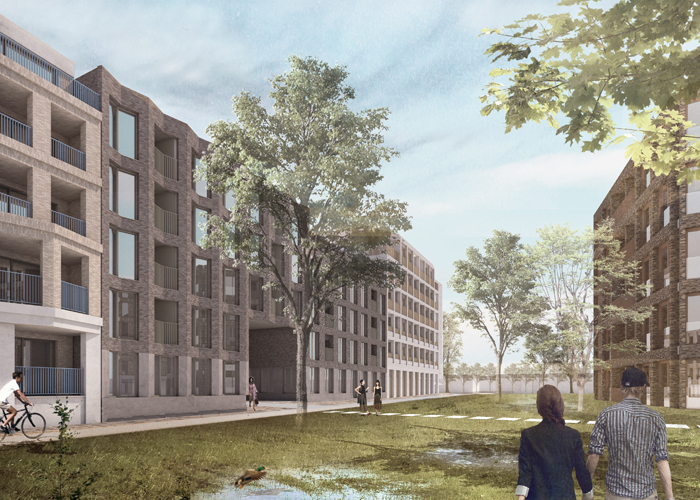 The architecture of the new buildings will vary within a coherent pallet of materials which refers to the historical building in the surroundings and the rich industrial heritage of the site. Meticulously designed buildings define collective open spaces, with a distinct semi-private identity. 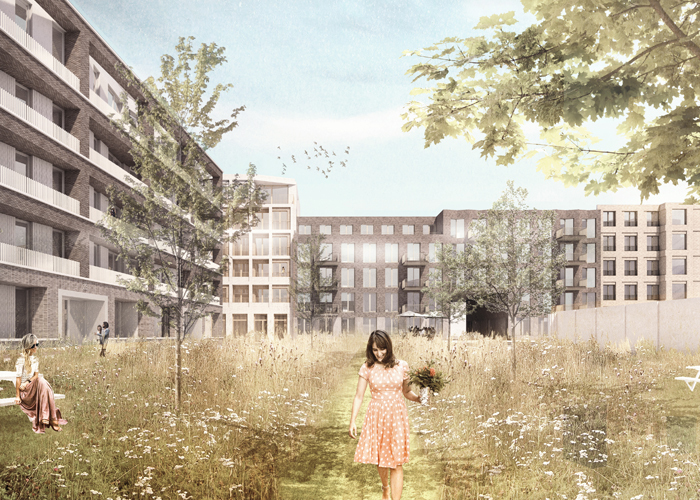 A robust brick architecture, lively facades with terraces, a public park for the neighborhood, collective gardens full of life, and an intelligent variation of typologies together create a contemporary and sustainable living environment.